Times of the Islands – Take That Vat! The spectre of Value Added Tax has been laid to rest. By Lindsay McCann, Director, Morris Cottingham & Co., Ltd.
On one day a callow youth, striding righteously with cheery retinue in tow; at dawn the next, arrested summarily, bound, gagged, blindfolded and shot. Such was the ignominious fate of VAT in the TCI. When the U.K. Minister for Africa, the Overseas Territories, Caribbean and International Energy transmitted the letter quoted above in late February to the leaders of both political parties, he put paid to months of intense rhetoric from the Foreign and Commonwealth Office (FCO) regarding the inevitability of VAT and its supposed benefits to the TCI economy. He also set smartphones abuzz with the news, which spread virally and resulted in a palpable collective sigh of relief on the part of business owners and consumers across the country. The rapid about-face from VAT being trumpeted as fiscal hero to being consigned to scrap was stunning. What on earth happened? Why did Whitehall back down from its seemingly immutable policy position on VAT? It is unlikely merely to be the result of the UK Government succumbing to the political pressure applied by the TCI legislature. The FCO had steadfastly refused to do so until a month before the implementation date and showed no signs of weakening— indeed, given its extensive residual power enshrined in the Turks and Caicos Constitution Order 2011, it had every reason not to succumb. The questions remaining open are whether there were larger problems with the implementation of VAT, perhaps due to insufficient time allowed for preparation, and whether the prospect of having to shepherd further amendments through a hostile legislature proved too great a hill to climb. Politics being what it is, we are unlikely to know the exact reason and will be left to speculate. It is clear from a cursory review of the history of the Value Added Tax Ordinance 2012 that it was drafted precipitously and without attention to detail. A hurried amendment was required to fix many sophomoric drafting errors and another extensive amendment was in the works prior to implementation to repair the remaining holes. A glaring example of such a hole concerned international carriers of goods that were clearly intended to be exempt from VAT. Although “international transport” was defined extensively in the Ordinance, the law nowhere contained an exemption for such businesses, even after it was amended the first time. This means that with less than one month until the implementation date, international courier businesses had no idea whether or not they would be required to register for VAT. Given the manner in which the legislation was drafted, one has cause to question the entire VAT exercise, including the depth and intellectual rigor of the analysis of the economic impact it would have on the TCI economy. Was the case for VAT simply that it “should work” in TCI because it has worked elsewhere? Again, all we can do is speculate. It is only sensible as well to consider the prudence of having rigidly pursued implementation of this tax in light of the fact that on November 9, 2012, every member of the TCI Parliament was elected on a platform of steadfast opposition to VAT. Perhaps the sensible course of action would have been either to implement the VAT fully before November, 2012, thereby providing valuable political cover for the newly elected government, or to have turned the implementation debate over to the TCI Parliament upon its reconstitution. It seems odd, in retrospect, that Whitehall did not pursue either option and instead remained steadfast in insisting that VAT be implemented by an unwilling parliament on an apoplectic electorate. There has been a setback, in terms of time wasted, due to this about-face in policy. Considerable new analysis will be required before the proposal of new revenue measures and clearly, those must be undertaken in the fullness of time, in an unhurried manner with a view to the best interests of the people of Turks & Caicos. 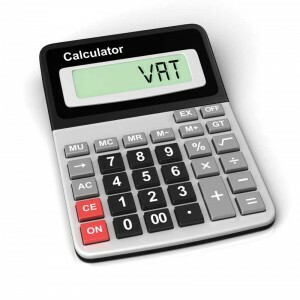 A considerable investment of public money and political and human capital was made to implement VAT. All that is lost now and TCI residents and tourists must bear the cost. The hard lessons learned from this exercise need to be borne in mind when considering the further fiscal legislation that will be required to satisfy the UK Government that TCI is able to meet its financial obligations. It is a credit to both parties in government that, despite their differences, they cooperated to demonstrate universal democratic opposition to VAT. There is no doubt that this coordinated approach was vital in eliminating VAT and one hopes that this approach to important issues will continue in future. One clear result of the failure of VAT is that the UK Government has shown that it is not immune to democratically applied pressure. In the scheme of things, this is only a minor loss of face for the UK Government, which remains firmly in control of fiscal policy in TCI. While he was consigning VAT to history in his 25 February letter, the minister also emphatically underlined, with the statement above, the ongoing fiscal obligations of the TCI Government and his commitment to ensuring they were met. The death of VAT was a useful occasion for the FCO to reinforce the fiscal objectives TCI will be required to meet in the coming years. There is no uncertainty regarding the determination of the UK Government to set TCI on a path to fiscal responsibility. This certainly will remain a difficult political issue for any Government to wrestle with. Neither party could credibly propose anything similar to VAT again in the near future, after having fought so strenuously against VAT. However, with the demise of VAT, the twin spectres of income and property tax return to haunt us, and there will be considerable motivation, now, to implement one or both of those measures to accomplish what is required by Whitehall and the Turks and Caicos Islands Constitution Order 2011. The demise of VAT was met with universal relief. We may never know why, precisely, the legislative effort failed so utterly. Its timely end does, however, presage difficult days ahead for the TCI Government in adapting fiscal policy to ensure the very heavy load now imposed on the country is borne equitably and to the satisfaction of the UK Cabinet. Lindsay McCann is a director of Morris Cottingham & Co. Ltd., an accounting and audit firm based in Grand Turk. Contact him at mlm@morriscottingham.com.